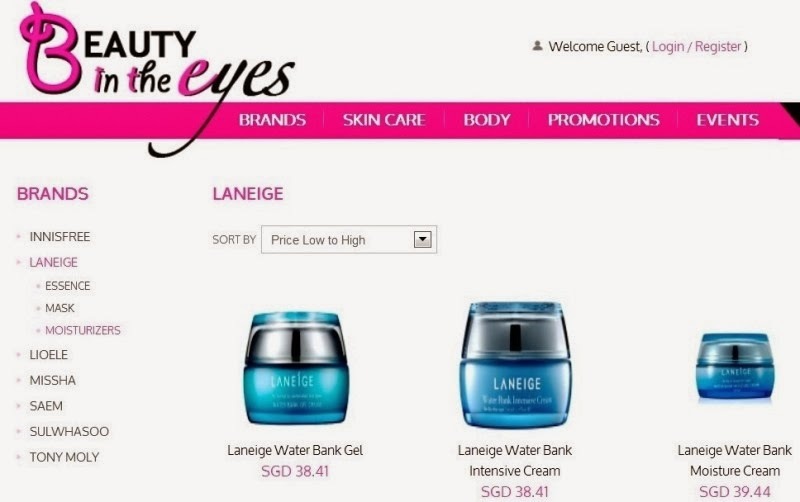 Beauty In The Eyes For Your Online Skincare Needs! 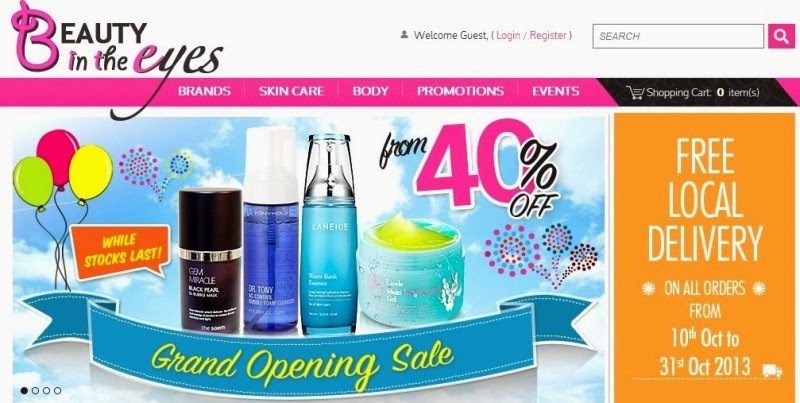 You are here:Home » Promotion / Events » Beauty In The Eyes For Your Online Skincare Needs! The Korean wave continues with more shopping & this time, Luxury Haven brings you a fast growing global online beauty store! Now you don’t have to fly all the way to #Korea to get all your beauty fix! 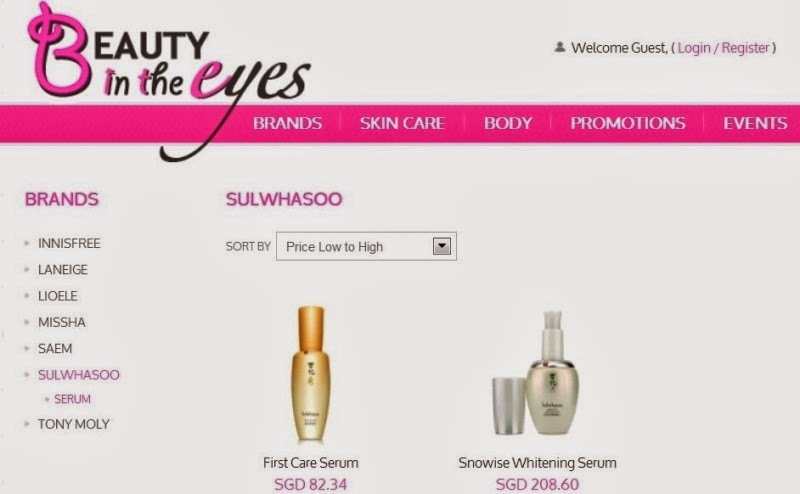 With prices as much as 40% cheaper, get a taste of quality Korean products at Beauty In The Eyes with just a click on the mouse! 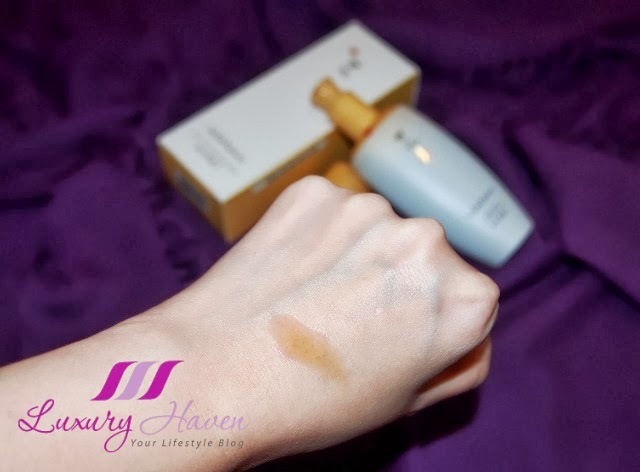 Well, here’ my pick for you: the Sulwhasoo (설화수, 雪花秀) First Care Active Serum! Formulated with Korean medicinal herbs, this essential regimen boosting #serum assures optimal skin care results, promoting balance & replenishing essential moisture & nutrients. Membranous Milkvetch promotes natural skin circulation; Dwarf Lilyturf & Licorice boost synergy among herbal extracts to restore skin’s natural healthy radiance. Instantly absorbing deep into the skin, the Sulwhasoo serum leaves the skin soft, smooth & supple, & boosting the efficacy of skin care used throughout the regimen. Step 1 - Pump an appropriate amount & gently massage onto your face. Step 2 - Use the middle & ring fingers & massage up from the nasolabial folds to the ridge of your nose. Step 3 – Lastly, massage up the chin line to enhance penetration & finish up with a firming massage. Every morning, apply First Care Activating Serum as the first step of skincare & inhale deeply. Use your palm to apply from the chin to the cheek & stop to inhale & exhale for 1 second. Do the same from the cheek to the forehead. The Korean herbal medicinal aroma of First Care Activating Serum, which contains the energy of earth, is delivered to your body to promote metabolism & comfort your mind & skin. Free Shipping For All Local Orders at Beauty In The Eyes! Want an additional $3 dollars off your total bill? Key in the promo code: "opensale" upon checkout now! Offer extended till 31st October 2013. Lovely recommendation. By visiting the site, I saw a couple of familiar brands. Definitely worth looking into it. DS, the other 2 brands that I like are Laneige & Tony Moly. Have fun shopping! Another awesome website for convenient purchase. Thanks!! Uru, I was just teasing. Exams are stressful, glad it's all over :) Glad to have you back! Korean skincare is good. bought few ginseng extracted skincare when I went to Korea few years ago. Rose, cool! Sulwhasoo is in the rave now, you may wanna chk it out too! Louise, hahaha! That's a neat one, my dear! You are tempting me to spend and buy more skin care products. My dressing table is already packed with lots of them. Nice products and I am quite a fan of Korean brands. Will keep in mind when my stock runs out. Nava, oops! Then again, we ladies can never get enough, right?? Hahaha! Reana, oh dear! I'm hope you're just kidding, my dear lady.......... You're real cute! Pepper, sounds attractive, isn't it?? I like that idea of using the earth to promote metabolism. Oohhhh Sulwhasoo is really good brand! Kylie, I'm sure you'll like it too! Sharon, this is a great site to explore but too bad, free shipping only applies to SG. Wow... Sulwhasoo with 40%... indeed the price is very attractive..
EH, annyeong-haseyo! I know you're also a fan of Korean products. Have fund shopping!